Innovation is only one step away ! Creativity is a mental process involving the generation of new ideas or concepts, or new associations between existing ideas or concepts. Some studies suggest that those who apply their creativity to their work are quite successful in their careers regardless of whatever jobs they do. I believe we are all born with a high quality of creativity, but how often we intend to use our creativity and how confident we are of our own ideas is what makes us different from the others. Apple announced a couple of product upgrades yesterday and despite many rumours, there was neither a Mini 7inch iPad nor was any iPhone 5!! On the first day of WWDC event in Moscone centre, Tim Cook unveiled a new version of MacBook Pro with the amazing Retina display with 2880x1800 resolution topping over 5 million pixles. The Retina display makes MacBook Pro the highest resolution product in laptop market. 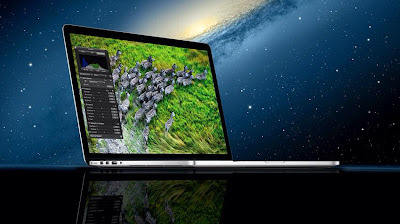 The other promising feature of Macbook Pro is the intel i5 and i7 "Ivy Bridge" CPU and the upgraded graphics. Having all those features packed into the new MBP, Apple also managed to slimed down its thickness by almost half and only a few millimetres thicker than MacBook Air. Having seen other MBPs overheating at some point under high loads, I was immediately alarmed about the heat dissipation in the new MBP, given how much thinner it's got resulting in less space for the airflow. however it seems Apple as always managed to keep the heat under control with even less fan noise through the vents. Here are some details about the new Ivy Bridge and the Retina display from Engadget and PCMag. LoveFim Stream-Only Package is a Rip-off!! I've recently signed up to LoveFilm and I thought I should be sharing my foul experience in case anyone is considering to do so. To be frank I was quite fed up with annoying LoveFilm junk mail put in my letterbox every now and then. I wondered what's all the fuss about? I never knew they too offer streaming options and that is the only reason I'd never considered LoveFilm. Dealing with the hassle of posting films back and forth was simply not my cup of tea. LoveFilm is owned by Amazon and I've been a big fan of Amazon's services and products for years( including audiobooks from Audible). My pleasant experience with Amazon made me think hmm why not give it a try! Plus it included a 30-day trial and only £4.99/month afterwards for the latest titles from the comfort of my iPad. Prior to my experience with LoveFilm, I had previously tried Netflix which turned out to be fantastic. In respect to content, Netflix isn't a good choice if you're seeking latest titles, but in terms of having a fairly popular collection of TV series and decent quality of streaming, I am absolutely fascinated by it. The iPhone and the iPad Apps are also very stable and snappy, letting you seamlessly AirPlay to AppleTV. 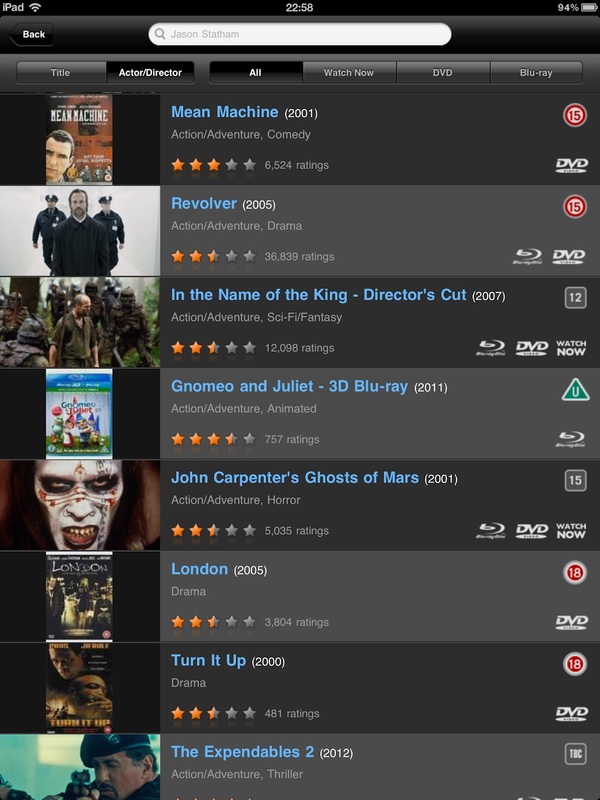 Back to the LoveFilm story, the iPad App is slow, buggy and never plays on AppleTV. (Choosing the AirPlay only streams the audio over to the TV) and the only option is mirroring from the iPad(which doesn't offer a good quality compared to the actual AirPlay). Maybe having a buggy app and lack of support for AppleTV doesn't sound like a good reason for dismissing the whole service, but that is not the main reason for me. Despite all the claims by LoveFilm, only a limited number of movies are available on stream-only package and almost every title I searched for turned out to be a DVD or Bluray Disc only and in order to watch them one needs to sign up for the postal package.Just to give you a taste of what you'll get, out of all Jason Statham movies, only less than a handful of which are available on streaming package.